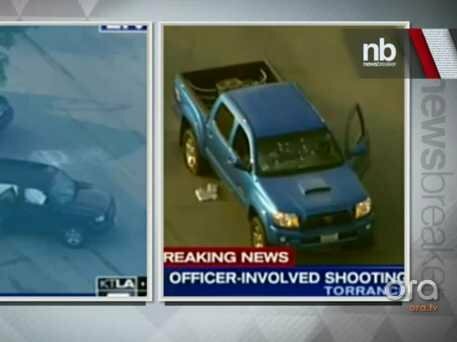 In Torrance, California, two women delivering newspapers were shot by LAPD officers looking for triple murder suspect Christopher Dorner. Maggie Carranza, 47, and her 71-year-old mother Emma Hernandez looked nothing like the African-American male suspect but police insisted that they were driving a Toyota Tundra pickup truck similar to Dorner’s truck. They were in their truck when they were shot by LAPD officers guarding a high-ranking LAPD officer named in Dorner’s manifesto. Their attorney said that there were no warnings before the truck was peppered with bullets. Hernandez was shot in the back. The officers said that they thought the women’s royal blue Toyota Tacoma matched Dorner’s dark-colored Nissan pickup truck. Of course, under any interpretation of Tennessee v. Garner, that would not constitute a justified basis to open fire. In the meantime, there are growing calls to reopen the investigation linked to Dorner’s termination by the LAPD. 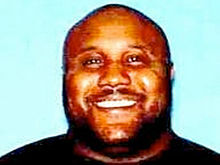 Dorner was terminated on September 4, 2008 after the LAPD accused him of lying about a fellow officer kicking a mentally ill man. Dorner accused now Sergeant Teresa Evans of police brutality in kicking suspect Christopher Gettler in the face while he was handcuffed and lying on the ground. The LAPD internal review board accused Dorner of lying. What is curious about the case is that the father of the mentally ill man corroborated Dorner’s account and Los Angeles County Superior Court Judge David P. Yaffe who reviewed the case in 2010 examined the case a year later as part of an appeal filed by Dorner, said he was “uncertain whether the training officer kicked the suspect or not.” That handling of the case has concerned many who wondered whether Dorner was punished for breaking the code of silence. The LAPD insist he was given a full hearing and found guilty of lying. LAPD says it will reopen the case to see if there is anything new in Dorner’s manifesto. Of course, even if one were to accept that he was treated badly, it hardly justifies an alleged killing rampage. Yet, Dorner is developing a following of supporters. Any honest comparison of the two manifestos makes it obvious that the longer version was not written by the same person who put up the original manifesto (supposedly written by Dorner). Unfortunately, unethical publishers and television networks prefer the sensationalism of the fake manifesto to the truth while honest publishers are in short supply. The writing style, education level, and focus are obvious distinctions between the original and the portions added to make up the second manifesto. The “fake” one was clearly written by someone more interested in pushing national issues like gun control and other issues than in discussing matters of importance to the life of Chris Dorner. In fact, Dorner made it clear that he wasn’t writing about the federal government in the original manifesto. Michael Ruppert (an expert on LAPD corruption), Cynthia McKinney (a six-term Congresswoman and International hero) and Jim Stone were all able to download the original before Dorner’s site was hacked and the fake was added. Someone went to a lot of trouble to create that fake manifesto. How much further did the falsifications regarding Dorner go? Did he write any manifesto at all? Did he continue investigating the police after leaving the force and wind up framed for murders committed by corrupt officers fearing exposure by some evidence Dorner had uncovered? Were people killed because they were helping Dorner expose corruption? Law enforcement went to a lot of trouble to try to silence Dorner, shooting women and burning down cabins. What were they afraid he would say if he talked? If officers crossed the line in shooting at women and torching a house, how many other times did they cross the line in this case? If we suspect Dorner may have been framed, then we need to ask the following question. Who would have had the motive, ability and opportunity to kill those people and fake the chase, as well as the technical skills to hack into Dorner’s website to replace the original manifesto with the fake version? In this case, are the foxes not just guarding the henhouse but investigating who ate the hens while torching the henhouse to destroy the evidence they pretend to be seeking? Why would Chris Dorner go from protector of police abuse victims to abuser himself? Didn’t Monica’s father try to help Dorner? Wouldn’t he have been more likely to be her failed protector than her killer? Keith wasn’t on the LAPD. Wasn’t the grudge with the LAPD? Did Keith, a young African-American officer, identify with Chris and try to help him uncover official corruption and end racism in the police agencies? Were Keith, Keith’s fiancée Monica and Chris Dorner investigating the corruption together and close to exposing certain officers at the time Keith, Monica and maybe Chris were killed? Chris was supposedly killed with a single shot to the head. Was that shot fired at the same time as Monica and Keith were killed? Charred remains show no powder burns and the torching of the remains could wipe out the evidence of when and how he was shot. Dorner didn’t have a grudge against the Riverside Police Department. Was Crain a friend in whom Chris confided? Was Crain about to go public with the truth when his life was cut short? Why was his funeral, a media spectacle, timed to coincide with the supposed removal of Dorner’s remains from the cabin and why did some of the funeral speeches give off the appearance of being performances? Was the killer or were the killers among those speaking at the funeral? A movie producer couldn’t have timed it better. This man was reportedly killed on Big Bear Mountain, but by whom? Was Dorner even on that mountain? There’s more in the article. Dorner’s personal belongings, wallet, and ids were found at 3 different locations and were the only surviving items in the burned out cabin. Thanks. Glad for facts instead of my speculations. Guess it is even better with digital. Our radio system (before it became digital just after I left the department) was a duplex system. From what I understant an open mike situation was mitigated somewhat by the dispatch center having priority on the repeater. So if someone in the field had their microphone keyed, the other patrol units could not transmit on that channel but the dispatcher could override the channel at the repeater and talk, blocking the unit with the open microphone. When this happened (open microhpone) the dispatcher would override and tell all patrol units to check for an open microphone. Of course, the offender might not hear that unless it was say a portable radio that was open and on his car radio he heard the dispatcher. If this persisted for too long the dispatcher would direct all patrol units to use another channel. Most radios had an identifyer that told the dispatcher which radio was transmitting. She / he could then call the deputy on his cell phone and tell him of the open mike. A shame that the version I accessed only began when the fires were well established. To do the op justice it would have required recording of radio tfc since the discovery by the game warden/rangers of “Dorner”. But the half hour before the burners were set in, would be especially interesting IMHO. Being an old radio man with simplex transmission, I wonder how they get through to the open mike transmitter. I can answer that myself when the old memory comes in gear.. Dual frequencies. receive side is always open, and the switching of parties through digital switching in the message envelope. BTW, then it only sounded like band noise in a normal AM/FM receiver´w/o squelch. Now this here is a controlled net. For coordination of info flow,verification of content,etc. But from her voice sharpening, it might also depend on desire to not have, due to open mikes, unauthorized info or uncleared info come up where it can be scanned. If they are using hyperbolic function SS technique, I wonder how police scanners work? Perhaps they do not have SS techniques. Only FM radio, with dual channel capacity, and rapid manual or automatic channel selection. Then a scanner would do the job. Still odd with a net control when so much info is needed to flow rapidly. Of course most traffic was passed by unidentified senders into the blue. to eventually identified receivers- Everybody seems to know in many cases who is speaking, Which we also did in amateur radio circles in 1950 in our hurricane watch nets when the big boys spoke! Oh yes that Kestrel. Will look the bird one up and compare with our garbage hunter gulls, large and small. No gulls qualify do to body form. We do have a common hoverer who preys on small vermin on the bare agricultural rolling plains of Skåne in the South. It is easily recognised by its V-split tail and its hovering capability. Nattglada (Elanus scriptus), It hunts in the daylight in spite of its swedish name calling it a “nightglider”. Kestrel is the blog name, not meatworld name. I do believe he is an admirer of one of the most beautiful raptors ever. I will not provide more information than he has provided himself under his username. Here is his page on SoundCloud. The first file at the top is the Dorner radio traffic recording he captured. I am so late here. NickS will never see this. Just as well. Don’t want to embarass him with my BS. Duck, here comes a snark. I see that you have begun from scratch again. How are the fleas down there. Slicking upwards does not become you. If friends can’t tell each other that one has bad breath and the other smelly feet, then what are friends for. Especially on a public blog as meeting place. Hugs are forbidden here I believe. How is the weather in San Diego. It is the usual pizz here. Found a decent pizza place run by two Assyrians (christian from Syria, 30 percent of the pop there in Syria). Assyrians is their chosen designation, ie the ones with the allegedly oldest Christian church in the world. Contested by a few. Thomas in India, Ethiopia??? Pizza, that and other rarities is what Sweden offers. Tapas on damascene table cloths. at high high prices and a waiter that explains what it is you are considering—–is not my kind of food experience. Even Madrid’s tourist tapas were cheaper and more genuine than these. Now tell me how góod the seafood is there. And how the sun shines warmly, and the surf is great walking at the water’s edge. Torture me!!!! Thanks for the reply. I was beginng to conclude that I am the Dorner (relatively speaking) of the JT blog. Always putting myself in the center of my world, Nobody else does that. Too little info leaves wide opened spaces to speculate. “My friend” (as I recall it), saíd by you, leaves lots of space. You are amazing. Or damn effective. Did you listen to the whole cleaned up copy? Or did he provide a transcript. These were no snarks. Only slightly barbed words of praise. PS Got a link to his site? Maybe googling Kestrel will do. Sounds like a resource that might disturb TPTB. Dangerous. Glad we got such folks. The question about my friend Kestrel being possibly affiliated with law enforcement almost caused a coffee spew. He is a popular radio personality in a large New England market. He lives and breathes audio. He is a fiery liberal/progressive on most issues. One thing Kestrel does do well is facts. He dislikes his own industry for sloppy reporting and rushing to judgment. That is why he often spends hours of his own time working on stuff like that radio transmission. He also has the capability of capturing live-streams off the internet with his own equipment before they can be edited or modified. Additionally, you would never guess it just by hearing his terrific voice on the radio, but he is of mixed race, mostly Mexican. Guess where his sentiments lie on the immigration issue? A great load of facts covers a load of opinion at the end. Adding thern more mostly opinion, experience, and “it is reported. alleged” info only adds to the pile (of?). And then the clencher, using Darren’s script reading of the radio or the (edited?) cleaned copy, produced by your buddy. Was he affiliated with some police power? Convincing arguments but open to suspicion. Of course let’s not discard “lab reports done by police” on DNA and autopsy reports. If a rotten police force kills a man, and we know LAPD is rotten, then what can you expect to find out? They have decades of experience in covering over sh*t.
Was he a bad guy? I don’f know. Once given a mad dog title then he was fair game with a million dollars for his head. As if the reward would ever be paid out. But it got gave the media reasons to headline the chase, forgetting their investgative duties. Of course, with our system, how could a journalist investigate just ANYTHING. Keeping him alive and under arrest w/o bail, until a blue ribbon bunch could be assembled to be blind to the evidence not supporting the LAPD. Wonder who will be next Dorner? A PTSD marine like Dorner was? One who took the invite and be posed with a LAPD chief (level?) ? The link to that photo was posted by me. How stupid was Dorner? Just because he had been clean, could he have missed the corruption in PDs in LA county? Seems improbable. PS Thank Darren for your link to the quiescent media duly reporting the official spiel, as you like it. Great sources. Confirms your position on law enforcement. Once a plit, always a plit. Try dn.org next time. But watch your stomach. It might get angry. I like the incendiary vegetables comment!